Congratulations are in order for Andy Cohen! The Watch What Happens Live host has welcomed his first child, a baby boy, via surrogate. The television personality, 50, took to Instagram on Monday, February 4, to announce the birth of his newborn son to his family. He shared a sweet photo of himself holding the new bundle of joy, who he named Benjamin Allen Cohen. Noting that Benjamin was born 9 lbs 2 ounces and 20 inches at 6:35 pm, PT, he wrote, "WOW! This is my son, Benjamin Allen Cohen". 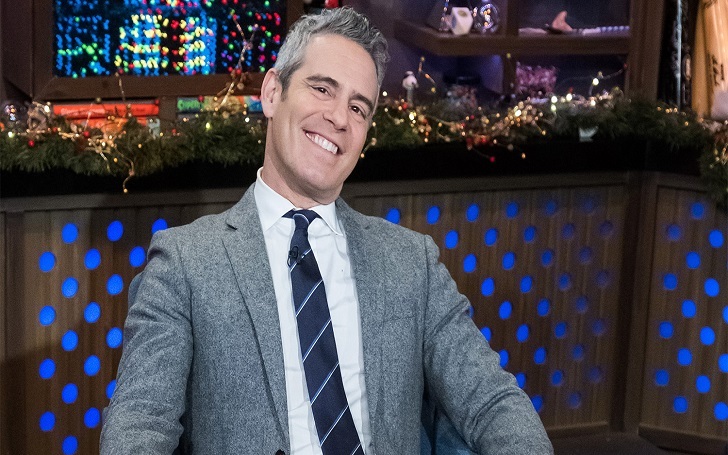 As previously reported, Andy, who replaced Kathy Griffin as a CNN's New Year's Eve co-host, announced his surrogate’s pregnancy during an episode of Watch What Happens Live With Andy Cohen in December. After many years of careful deliberation, fair amount of prayers and the benefit of science, if all goes according to plan, in about six weeks time, I’m going to become a father thanks to a wonderful surrogate who is carrying my future. Family means everything to me and having one of my own is something I’ve wanted in my heart for my entire life and though it has taken me longer than most to get there, I cannot wait for what I envision will be the most rewarding chapter yet. Days later, during CNN’s live New Year’s Eve broadcast, Cohen revealed the gender of the baby, saying, "I can not wait to meet this boy". He had also explained at the time that as being a gay man, he didn't think it would be possible to have a family for non-straight people.